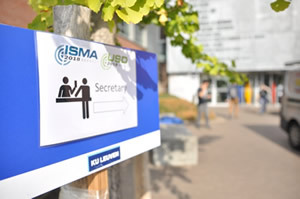 Three members of the Department of Mechanical Engineering-Engineering Mechanics presented at and attended the ISMA-USD Noise and Vibration Engineering conference at KU Leuven in Leuven Belgium. The 28th International Conference on Noise and Vibration engineering (ISMA2018) was organized in conjunction with the 7th International Conference on Uncertainty in Structural Dynamics (USD2018) on September 17-19, 2018. Approximately 700 people (50% from industry, 50% from universities) attended the conference. Jon Furlich, PhD student presented “Application of STFT and Wavelet analysis to MT clunk data: a case study.” Andrew Barnard (ME-EM) presented “Active noise control in pipes and ducts using carbon nanotube thermophones” and “Top 10 mechanical experiments for the teaching of sound and vibration in mechanical engineering”. Barnard also taught a seminar on acoustics in London Sept. 20. Read more at ISMA Past Editions. 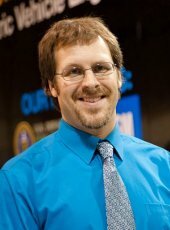 Jason Blough (ME-EM) chaired a session, attended the conference and met with peers to discuss future research topics. Craig Friedrich (ME-EM) presented two podium papers, “Enhanced Bone Fixation of TKA Tibial Tray Implants with TiO2 Nanotubes” and “In Vivo Anti-Bacterial Effectiveness of Nanotextured Titanium Implant Surfaces” at the 31st International Society for Technology in Arthroplasty (ISTA) Conference in London, England. The conference, which addressed innovative solutions for arthroplasty, took place Oct. 10-13, 2018 at the Queen Elizabeth II Conference Centre. Established in 1988, ISTA is dedicated to advancing the art and science of technology in joint replacement by connecting the leading clinicians, engineers, researchers, and industry members from around the globe. Recent clinical data suggest improvement in the fixation of tibia trays for total knee arthroplasty when the trays are additive manufactured with highly porous bone ingrowth structures. Read more at ISTA Online. Periprosthetic infection remains a clinical challenge that may lead to revision surgeries, increased spending, disability, and mortality. Trisha Sain (ME-EM) and Muhammed Imam authored the paper “Effects of cohesive interfaces and polymer viscoelasticity on improving mechanical properties in an architectured composite,” in the International Journal of Solids and Structures. Improving the functionality of composite materials is a key requirement for various aerospace, auto-motive, sports and defense applications. The trend is to identify mechanisms, design, constituents, and, preferably, the combination of all of them that can result into better mechanical properties in the conflicting domain of interest (e.g. high stiffness and high damping or high stiffness and high toughness) without adding much complexity in the analysis and design. The present work considered an “interconnected” geometry inspired by biological materials in a composite material made of very different material properties. Our computational study showed that the interconnection was effective in improving the load transfer between two dissimilar materials by the virtue of contact-friction mechanism, compared to layered materials. Jeremy Worm (MEEM/APSRC) is the principal investigator on a project that has received a $47,000 contract from the U.S. Department of Defense-Army Tank Automotive Research, Development and Engineering Center (TARDEC). 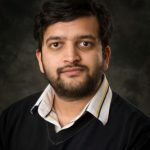 Kishan Bellur, a postdoctoral scholar (ME-EM), recently attended the annual meeting of the American Society of Gravitational and Space Research (ASGSR) in Bethesda, Maryland. This is now the primary microgravity conference for NASA. 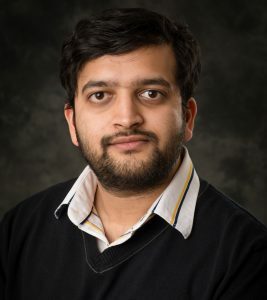 At the conference, Bellur received the award for “Best Poster Presentation.” His poster presentation was based on his dissertation research, which will be extended with the new NASA Physical Sciences Informatics System (PSI) grant. The meeting took place October 31st, 2018 through November 3rd, 2018. The members of ASGSR represent academia, government, and industry interests bonded by a common issue – how living organisms and physical systems respond to gravity. NASA offers the PSI data repository for physical science experiments performed on the International Space Station (ISS). The PSI system is now accessible and open to the public. Mo Rastgaar (ME-EM) along with PhD students Guilherme Ribeiro and Lauren Knop, presented “Correlation between Ankle Impedance and EMG Signals,” at the Fourth International Conference on NeuroRehabilitation (ICNR), Pisa, Italy, Oct. 16-20, 2018. This is a seven-month project. Andrew Barnard (MEEM) was referenced in the article “Beaver Stadium can get as loud as a rock concert. How to cheer and protect your ears,” in Centre Daily Times. 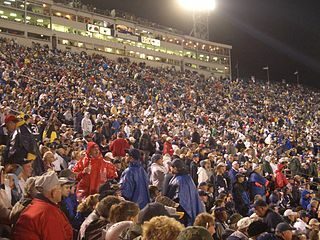 The story referenced research Barnard conducted as a graduate student at Penn State on noise levels at the university’s Beaver Stadium. In the late 2000s, Andrew Barnard, former Penn State graduate student and current Michigan Technological University professor, measured the sound levels in Beaver stadium during games with sold-out crowds of well over 107,000 people. He measured sound intensity that occasionally reached levels louder than jack hammers. Think about that! Read more at Centre Daily Times, by Bethany N. Tessitore. Mo Rastgaar (MEEM/MuSTI) is the principal investigator on a project that has recieved a $680,182 research and development grant from the National Science Foundation. 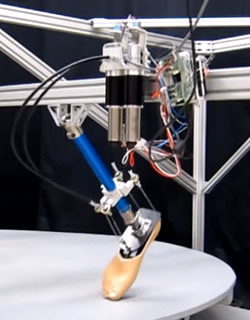 The project is titled “NRI: INT: COLLAB: Anthropomorphic Robotic Ankle Prosthesis with Programmable Materials.” This is a four-year project. There are currently 2 million Americans living with an amputation; the majority of those amputations are of the lower limbs. Leg amputation is a significant life-altering event that has an overwhelmingly negative effect on many aspects of life, even years after the injury. Leg amputation can cost in excess of $1.8 million per individual. Most available prostheses are designed to replicate some aspects of normal ankle function during level-ground walking. These prostheses allow many individuals with below-knee amputation to return to basic daily activities. However, these devices are best suited for level-ground walking and many users experience difficulties during other important tasks, such as walking on slopes, stairs, or different terrains. Therefore, the general aim of this project is to address this gap in the design of existing powered ankle-foot prostheses by enabling new prosthetics that adapt to different environmental conditions commonly found in daily life. In addition to advancing research, undergraduate and graduate students will be involved in research activities and will receive interdisciplinary education/innovation/outreach experiences. Outreach activities will allow the project team to engage diverse middle and high school students, especially those from underrepresented groups and low-income families. The findings from this project will be disseminated through publications, software sharing, and technology commercialization. The Michigan Tech Mobile Lab is visiting the campus of Grand Rapids Community College (GRCC) today, giving GRCC students the chance to gain exposure to an ongoing National Science Foundation (NSF) Project—”CAREER: An Ecologically Inspired Approach to Battery Lifetime Analysis and Testing.” The principal investigator on the project is Lucia Gauchia. Participants range from all over the technical campus, with specialized tours for on-campus classrooms, as well as an open house for students and community members. Inside the Mobile Lab, there is further detail on the project and a real-world demonstration of a battery testing process. Students in the Mobile Lab will be exposed to battery technology in today’s modern world. There will be discussions on battery types, chemistry and applications; including mobile devices, automotive, grid storage and more. The Mobile Lab will be on the GRCC downtown campus, located in the student commons area. 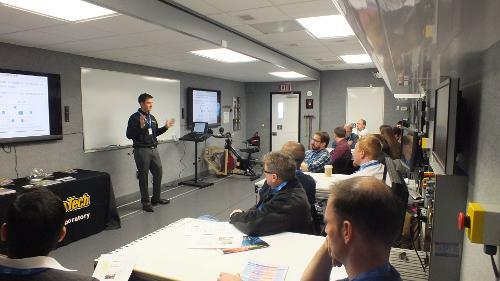 For more information on the Michigan Tech Mobile Lab, contact Chris Morgan.